Your equipment plays a vital role in your business. Making the most out of your equipment raises efficiency and equates to savings. 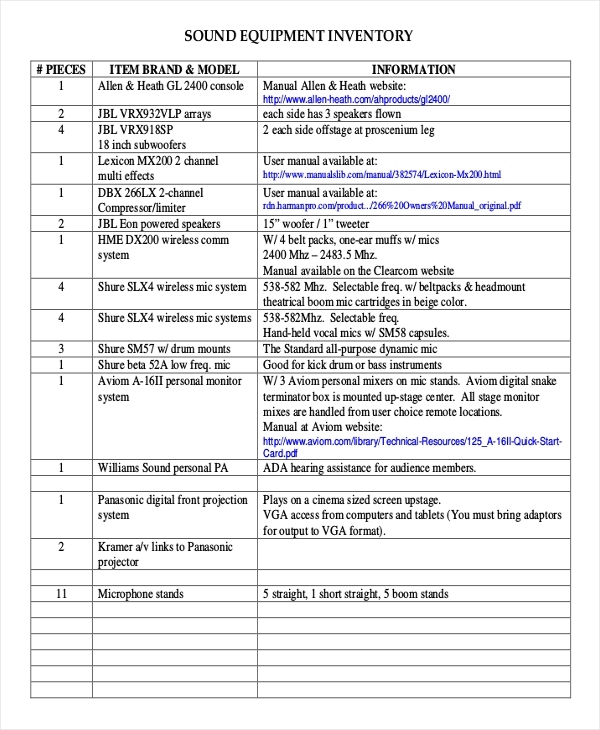 Doing a physical inventory examples of the actual equipment you have or own helps in identifying what equipment is being used and which are not. 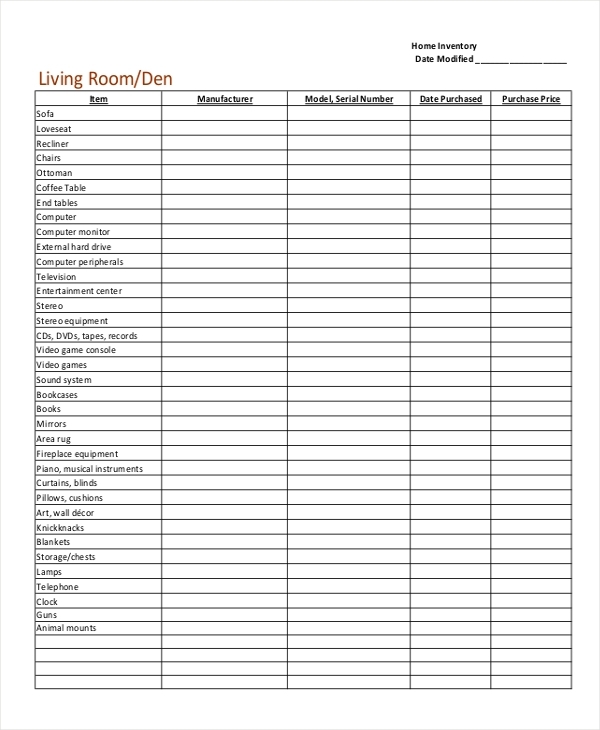 A simple inventory list greatly helps in the actual inventory and should serve as your basis for comparison after an actual inventory count. 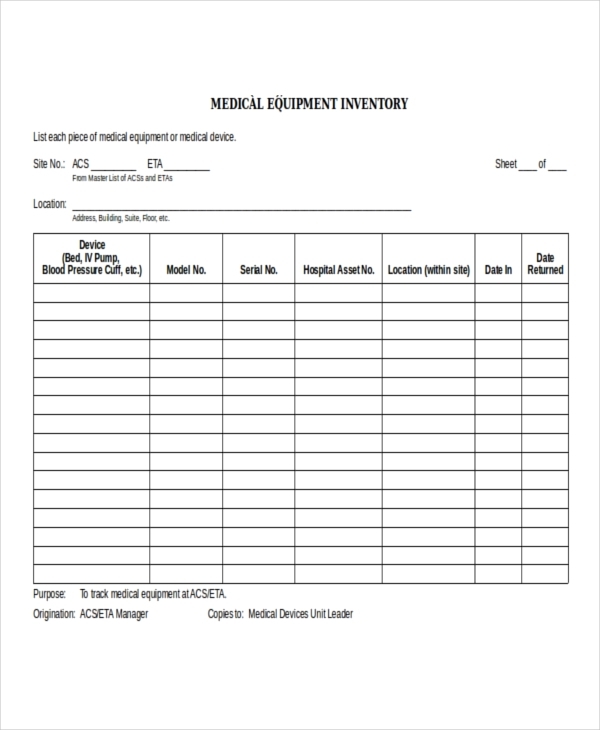 Examples in the page are shown to provide you with more information regarding an equipment inventory and how it is structured or being written. Click on the download link button of any sample to access the file. What Is an Equipment Inventory? 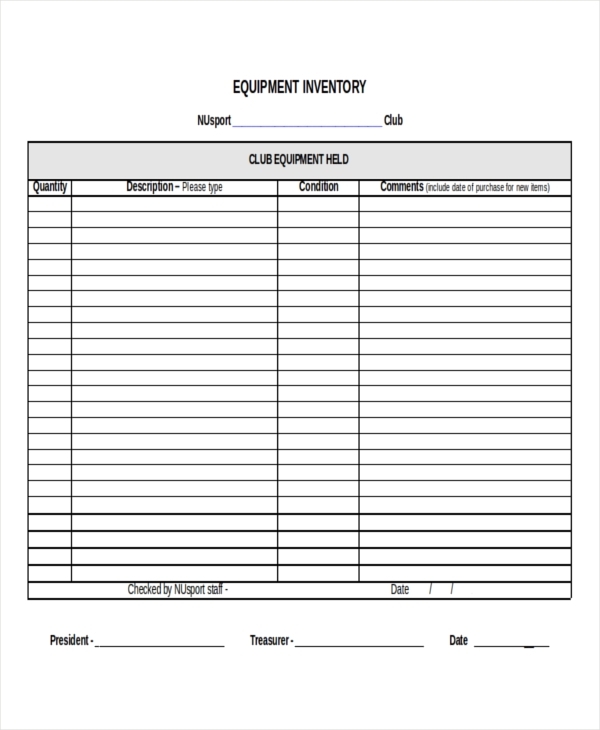 An equipment inventory is a detailed and itemized list of an individual or company’s equipment assets. 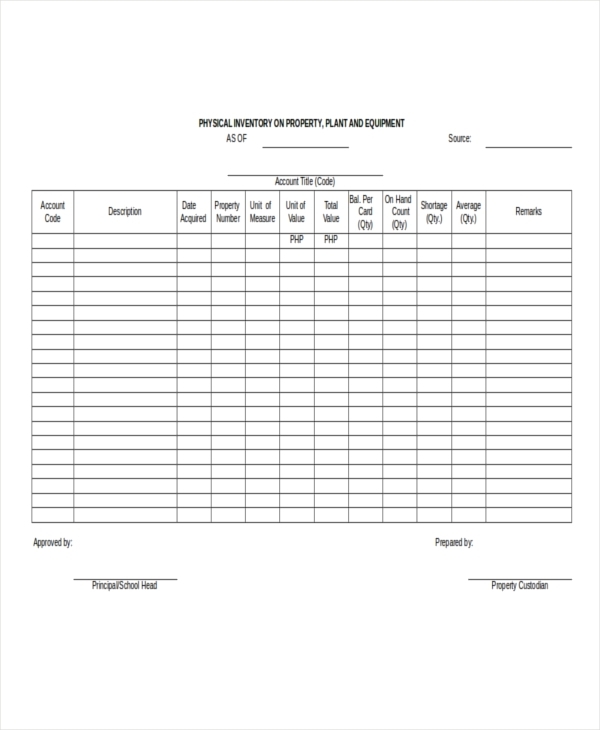 An equipment inventory also includes an evaluation regarding the state of the equipment. 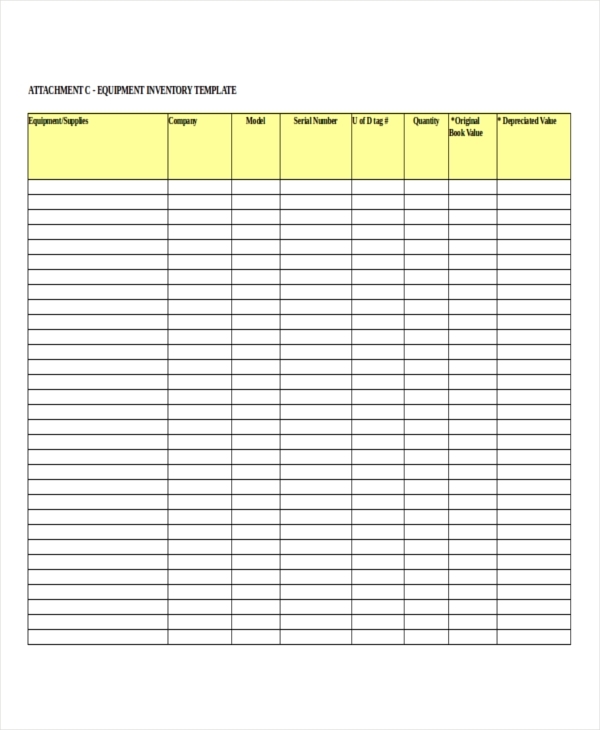 Free Inventory examples and product inventory examples in the page help you further understand what an equipment inventory is and how it looks like and is made. Know the exact equipment that you own. It must include enough information like location, value, and capabilities. 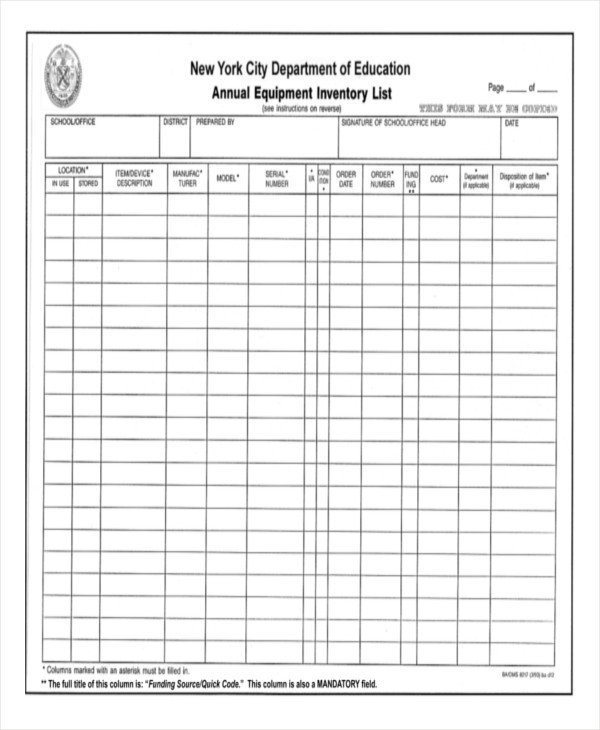 Determine how, by who, when, and where an equipment is used. Knowing which equipment to invest in helps rather than wasteful expenditure of equipment sitting in storage. Always maintain a preventive maintenance schedule for equipment. Prevention is always better and sometimes cheaper than cure. Get to the bottom of issues involving constant repair and resolve it from the source. Free inventory examples and rental inventory examples are shown for your further review. The examples are also available for download by clicking on the download link button below the sample. 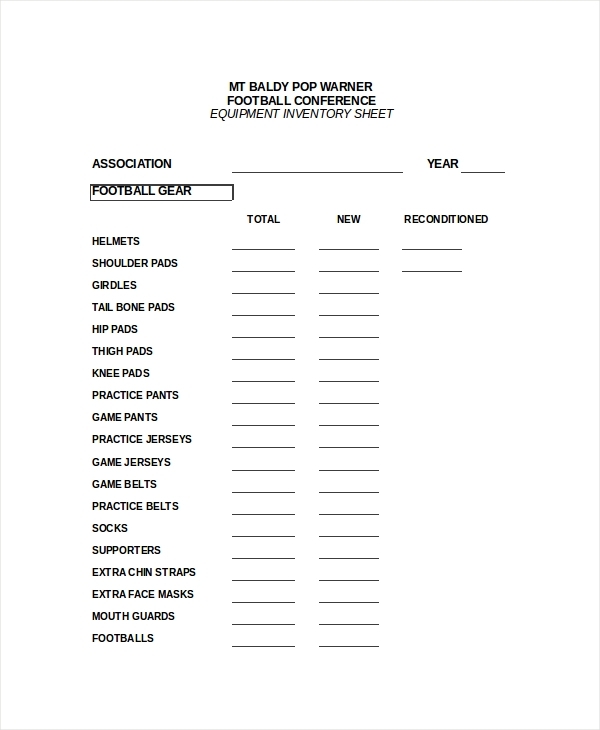 What Is the Purpose of an Equipment Inventory? Increased efficiency – Having knowledge of the exact equipment that you own equates to information where each equipment is needed and what operations need which equipment. Equipment sitting in storage can now be used to where it needs to be thus releasing equally important storage space. Taxation and accounting – In computation of taxes, an inventory of actual assets is needed to compute for the taxes with the ending sales in a period. Depreciation in equipment also result in the lowering of taxes for a business. Organization – Conducting an equipment inventory helps organize and sets the equipment in their proper place with the correct labels. Lessen full audit schedule – Conducting frequent small audits help in lessening the times where an actual full audit would be required since information would be up to date and accurate. Use the above free examples of inventories in PDF as your guide to understanding their purposes, layouts, and included information.